When KeShaun joined Antelope Valley College as a freshman from Long Beach Jordon HS he was 6’3” 180 pound basketball player that could run the floor on the fast break and throw down slam dunks. He had to learn to play in sets at the college level, shoot the three ball/midrange, play defense, rebound and pass the ball. “Key” had a lot of work to do and when he hooked up with teammate Cory Dollarhide he remade himself. Three hours of workouts with the team and the then two hours as a duo in the weight room and gym. 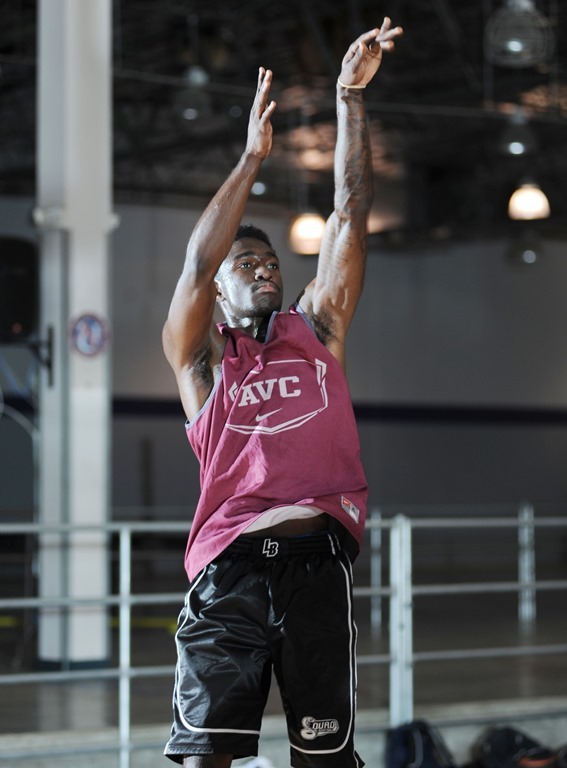 Mack red shirted his first year with AVC and his life became the weight room, the track, the basketball floor and the class room. It took some time but “Key” broke into the starting lineup in the last five games of last season where he was ripping down rebounds and shot 38.5% from beyond the arc. Finishing up the summer, you are looking at a completely different basketball player. Physically, an inch taller and 20 pounds of muscle, bigger. A dangerous shooter, ball handler, defensive stopper and most importantly an outstanding team player. One thing you better not forget about KeShaun; he is one of the most Athletic Players in JUCO basketball this year. KeShaun Mack has been invited to the Elite 80 JUCO Tournament and he is going to turn some heads of the university coaches. This will be one heckava year for Key. AVC’s Dedmon: 6 million, 2 years, Spurs!